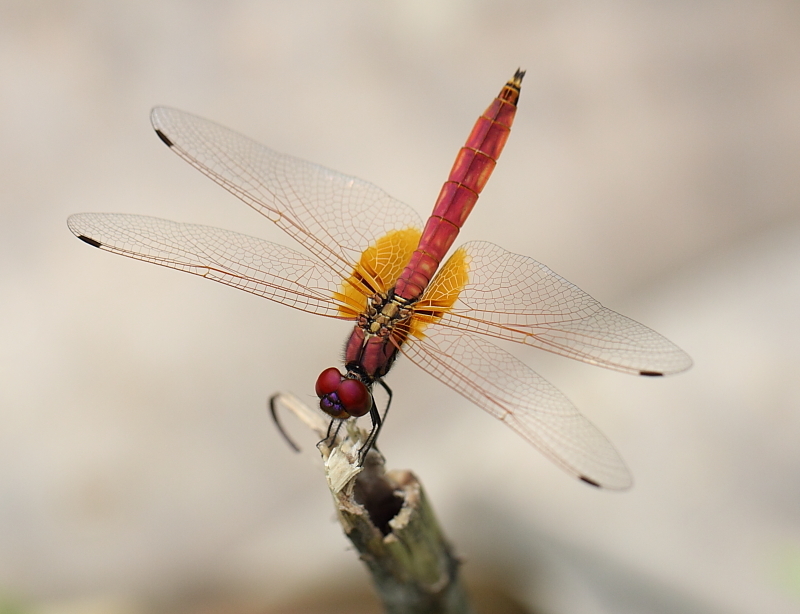 Macromia Cydippe is a very rare dragonfly species in Singapore. 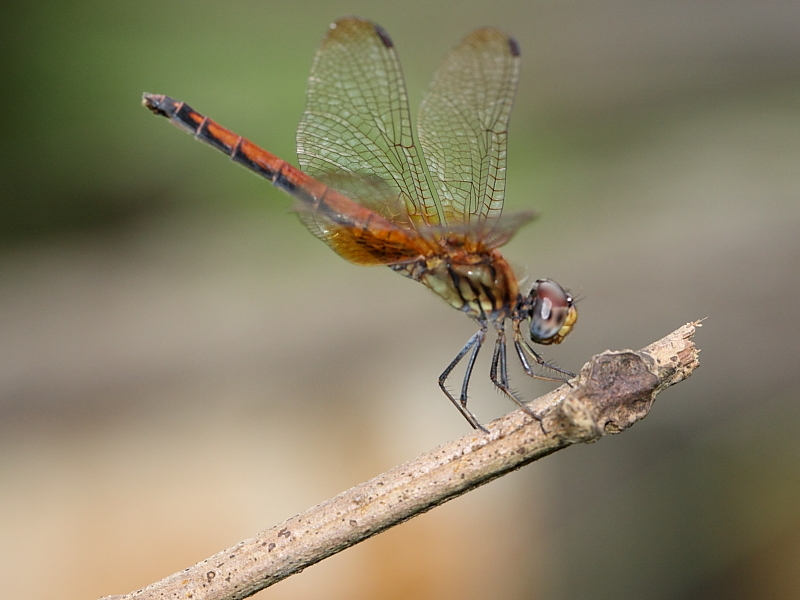 It was first recorded at Nee Soon Swamp Forest on 3rd January 2010. It is a forest species which prefers sluggish and clean-bottomed streams. 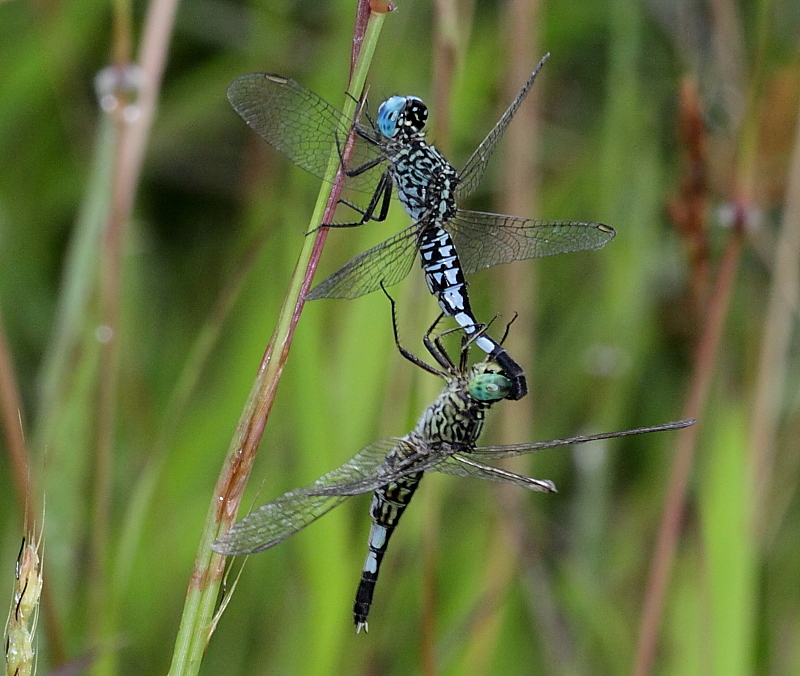 M.cydippe and M.cincta are both very similar in appearance. M. cydippe is characterised by it’s smaller size, more slenderer body, and a distinct yellow band at the base of the 7th abdominal segment. 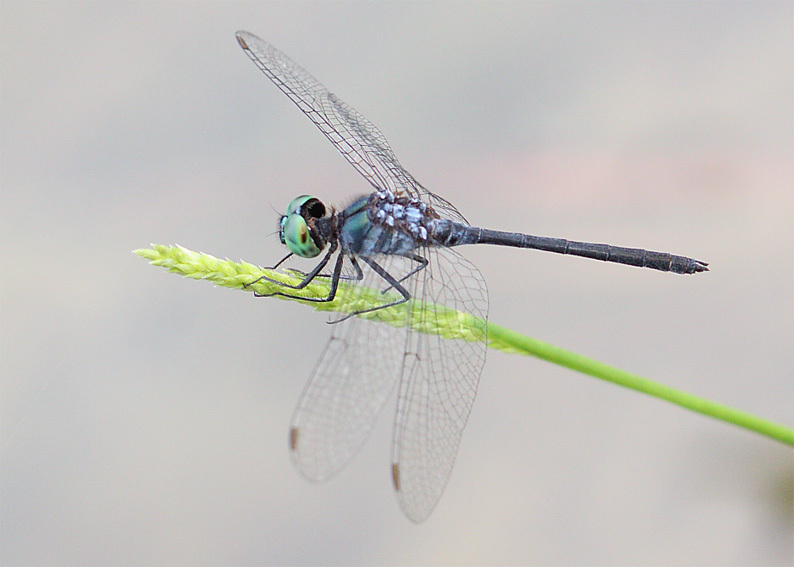 The inferior appendage of the male M. cydippe is much longer than it’s superior appendage. 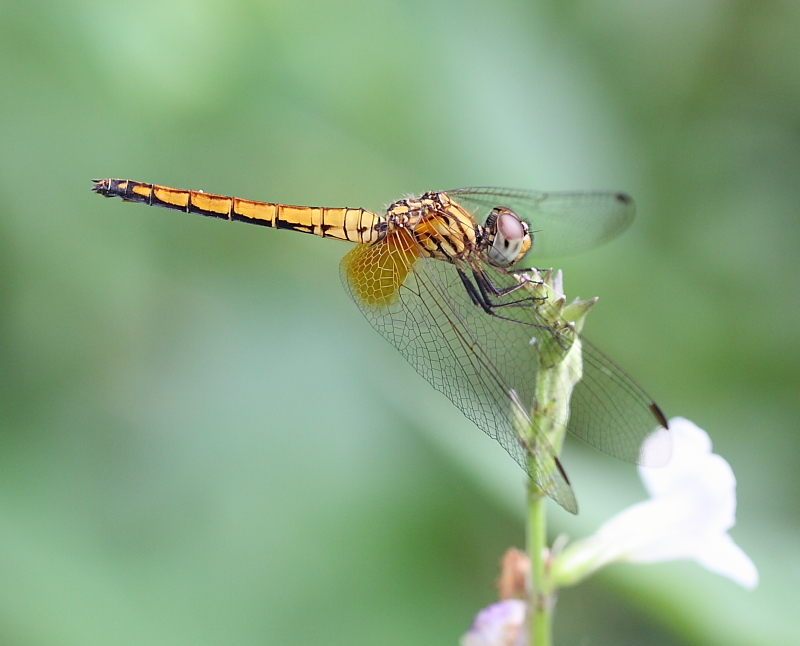 I have seen this species, usually males, a couple of times at NSSF and MacRitchie Reservoir. Similarly to M. Cincta, this species like to perch motionlessly on twig just slightly above eye level. 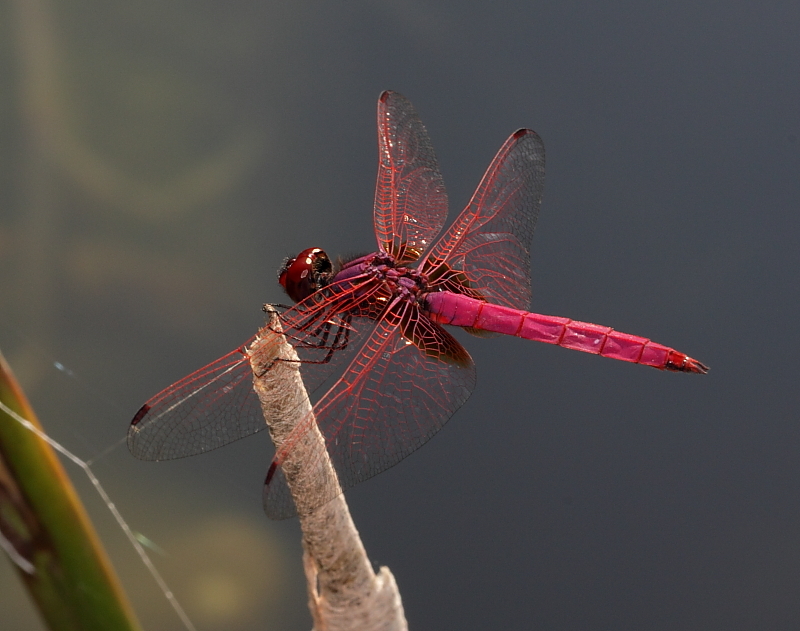 This is the same male as in the main picture. 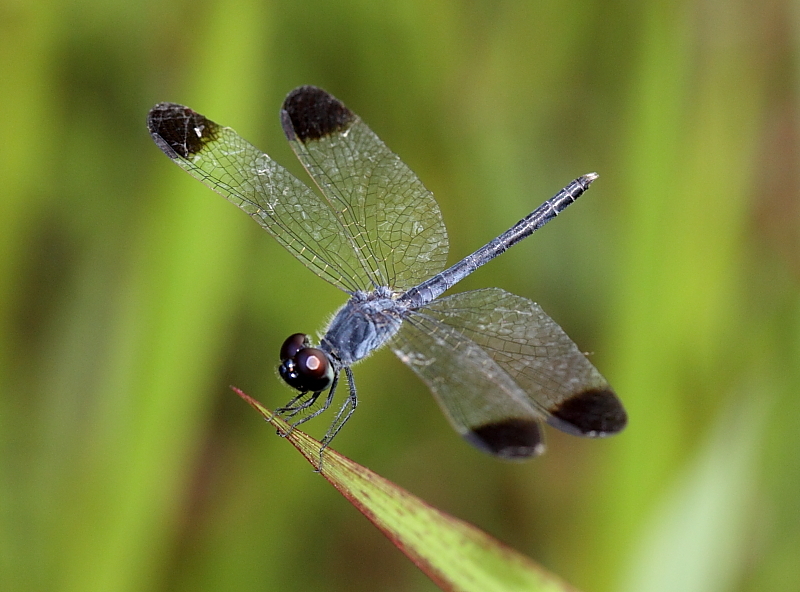 It should be an adult male with shining blue abdomen and partly blue and brown patches at the top of the synthorax. Another male perched motionlessly on a thin branch beside the board walk in the sime forest. 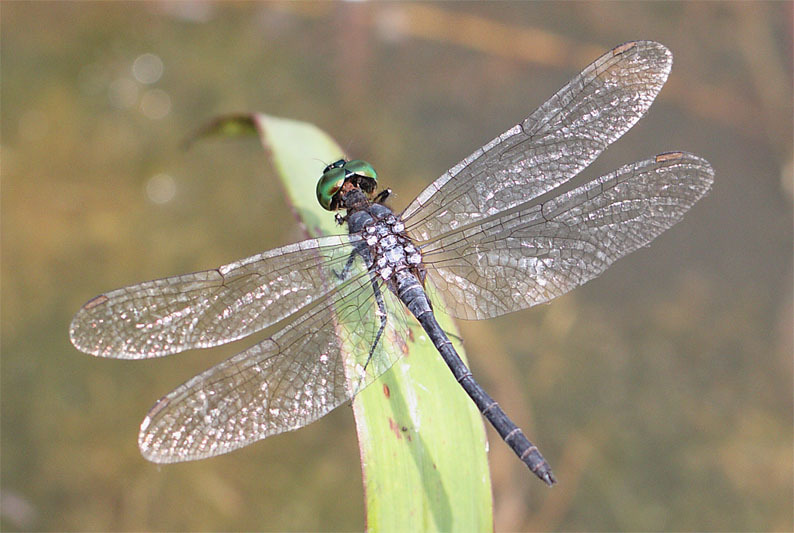 This dragonfly is commonly found at open disturbed habitats including grassy swamps, edges of the reservoirs with short grassy vegetation, ponds, and drains. 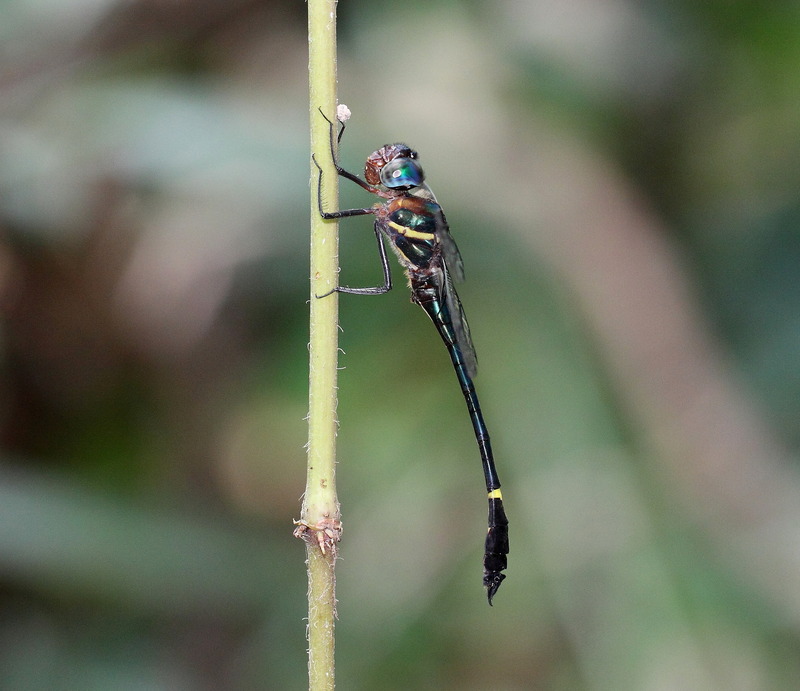 So far, I have seen this species at places like MacRitchie reservoir, Ang Mo Kio Town Garden West, and small streams at Central Nature reserves. As it’s name suggest, this species is unmistakable by it’s unique shape of it’s abdomen. 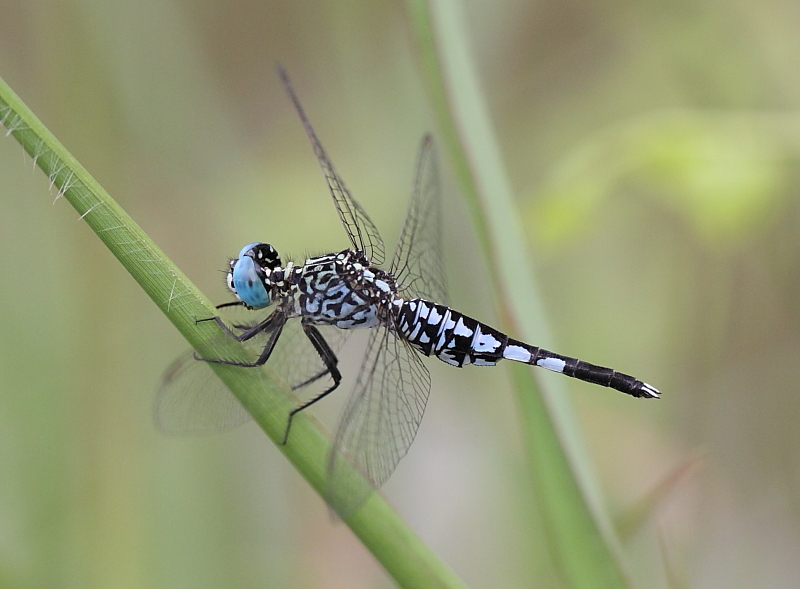 Male has light blue eyes and body. 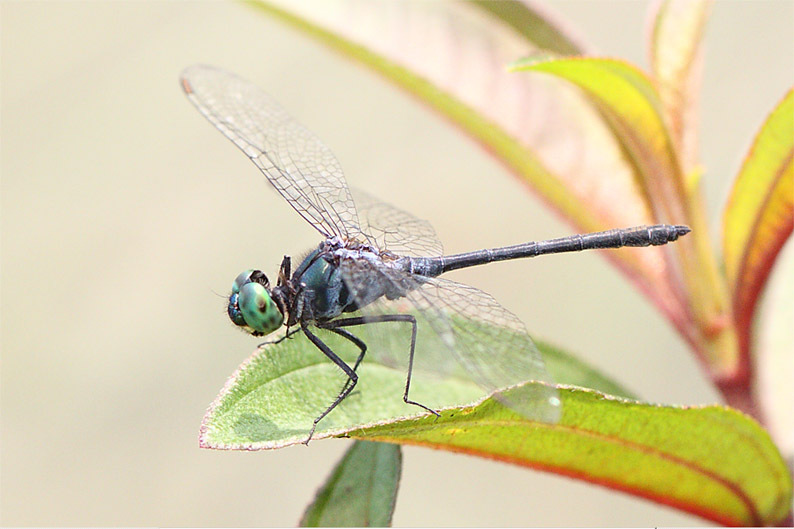 Female is similarly shaped and patterned, but the colour of the eyes and body is more greenish. 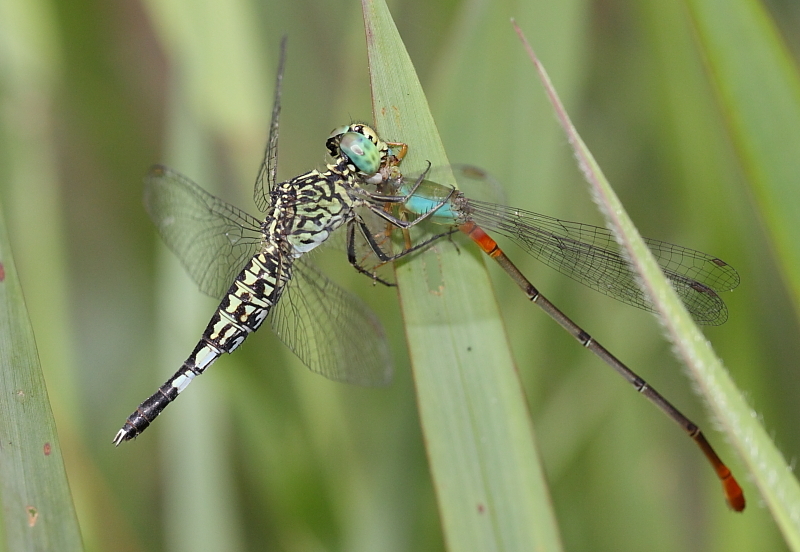 This male suddenly grab this female by the neck and try very hard to mate with her. After several unsuccessful attempts, she finally break off from him without mating. 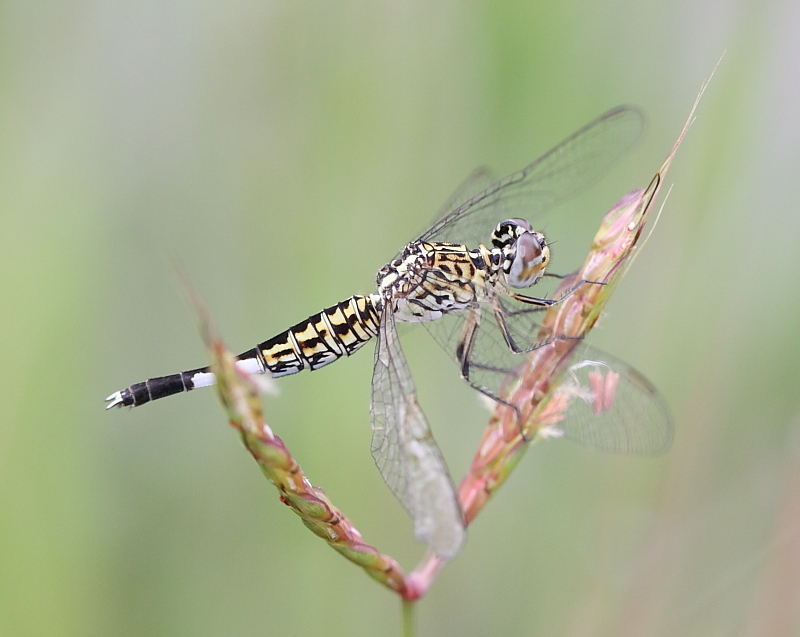 This dragonfly is quite small in size and very inconspicuous when they perched among grassy vegetation. 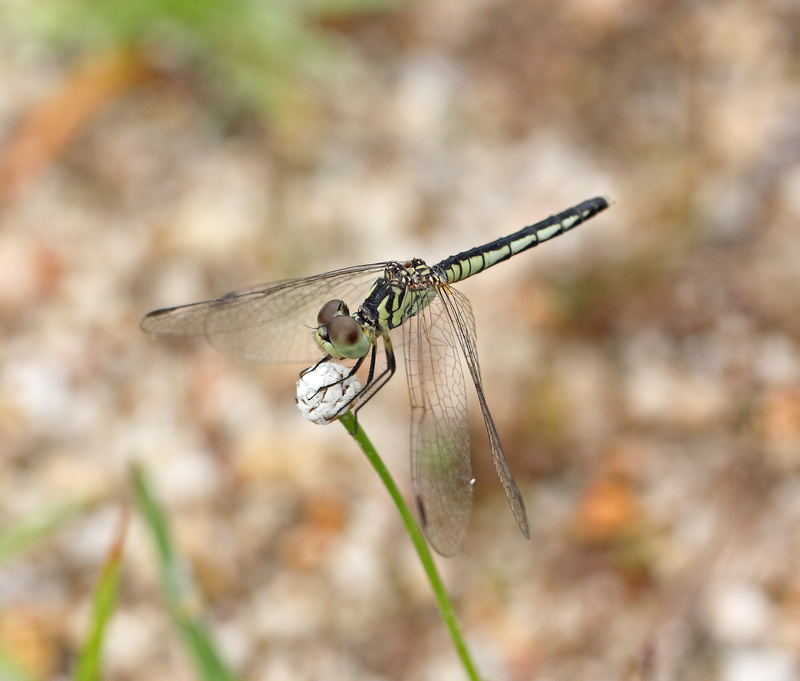 They are very aggressive dragonfly and will eat all kinds of smaller insects, including damselflies. 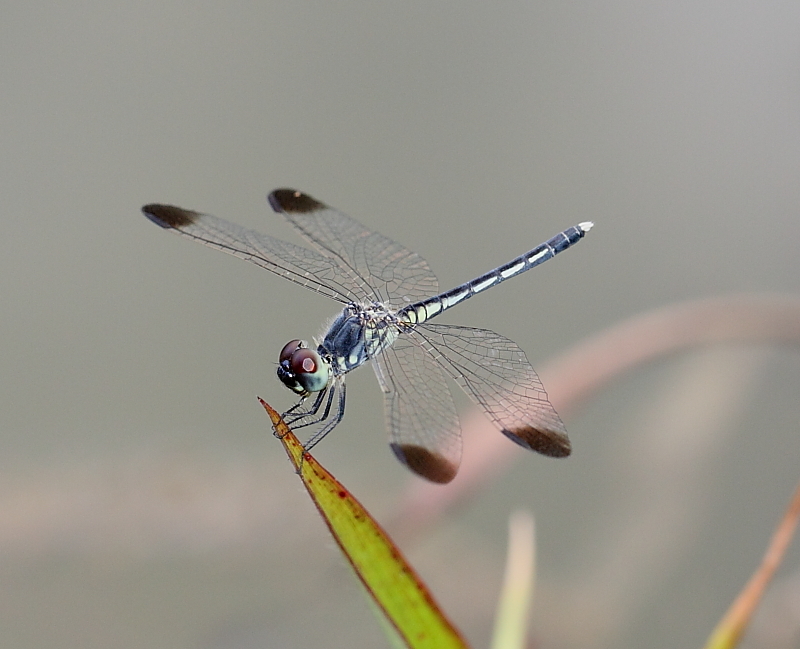 A female eatng a damselfly. 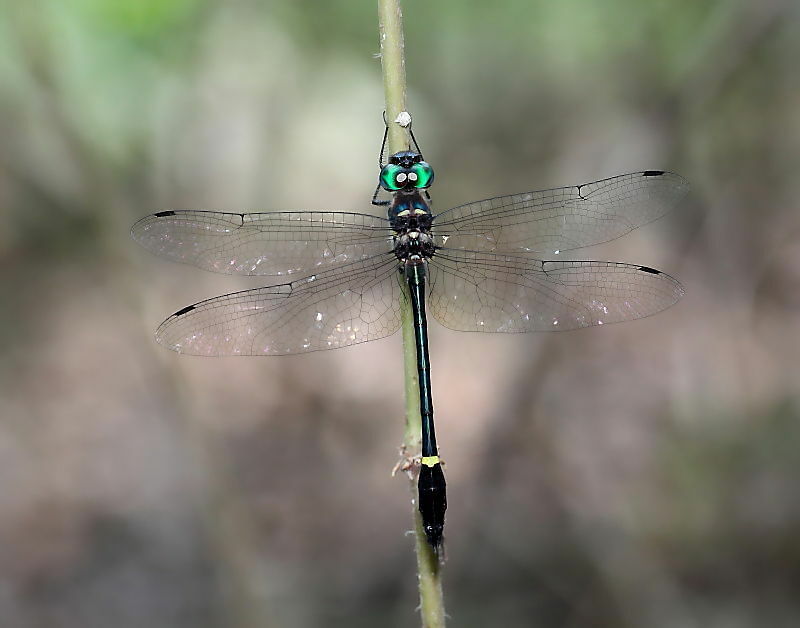 One of the more uncommon dragonflies that can be found among the weedy edges of MacRitchie reservoir, this loving small dragonfly is very attractive and inconspicuous. 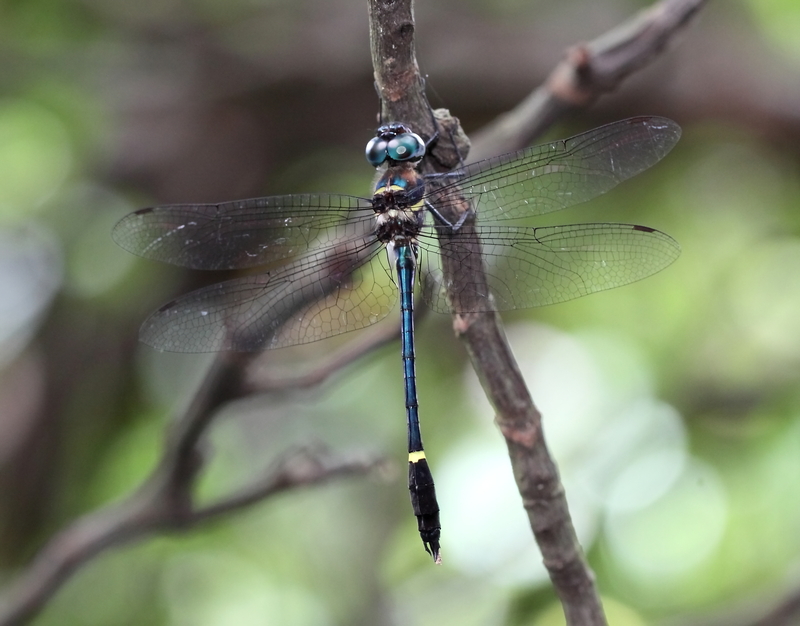 The male is dark-blue in colour, with unmarked body and thin abdomen. 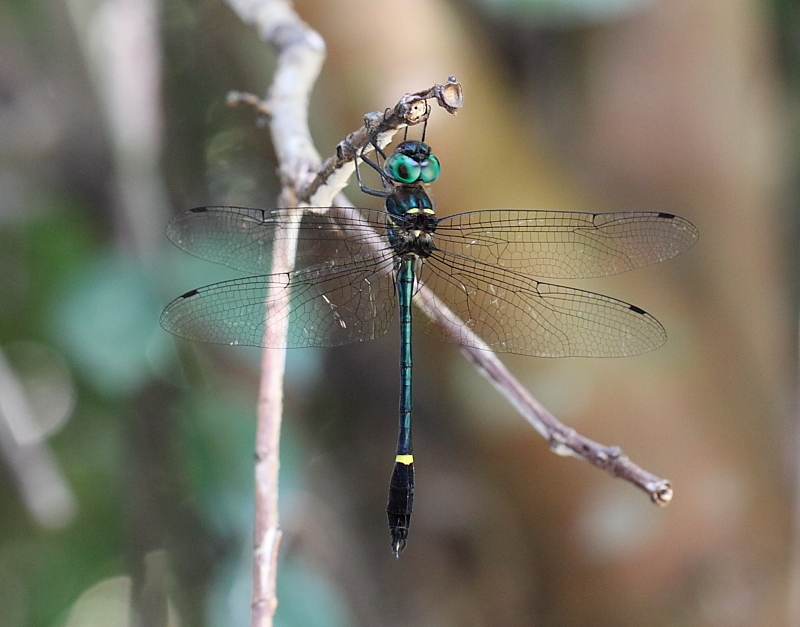 It has a pair of striking green eyes. 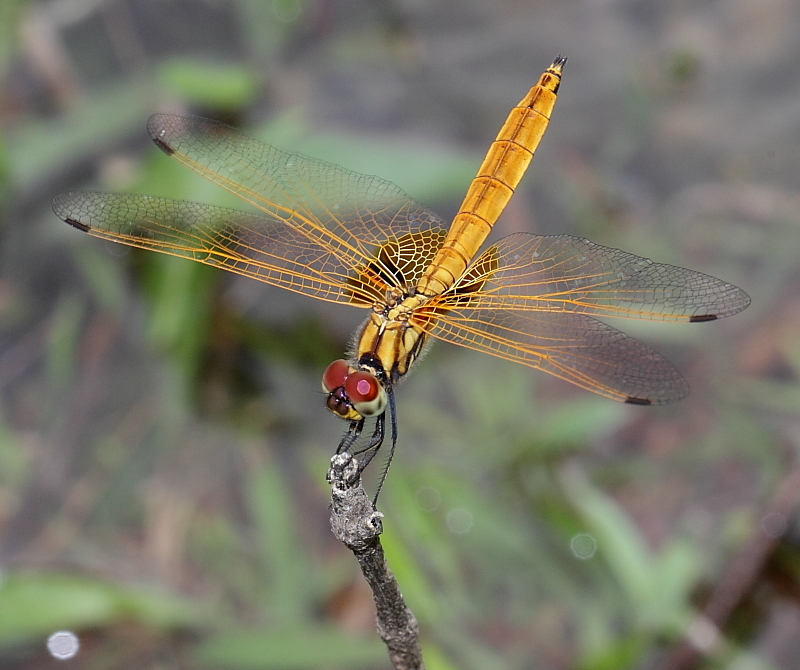 Female is similar, with a more brownish patch at the dorsum of the thorax and brownish tint at the wing base.